Not practicing on Friday were wide receiver Odell Beckham, Jr. (quad), wide receiver Russell Shepard (ankle), tight end Rhett Ellison (concussion), defensive end Mario Edwards (calf), and linebacker Alec Ogletree (concussion). All five players have officially been ruled out of Sunday’s game against the Dallas Cowboys. Wide receiver Sterling Shepard (hip), center Spencer Pulley (calf), defensive end Kerry Wynn (thumb), and linebacker B.J. Goodson (foot) fully practiced. All four players are expected to play on Sunday. 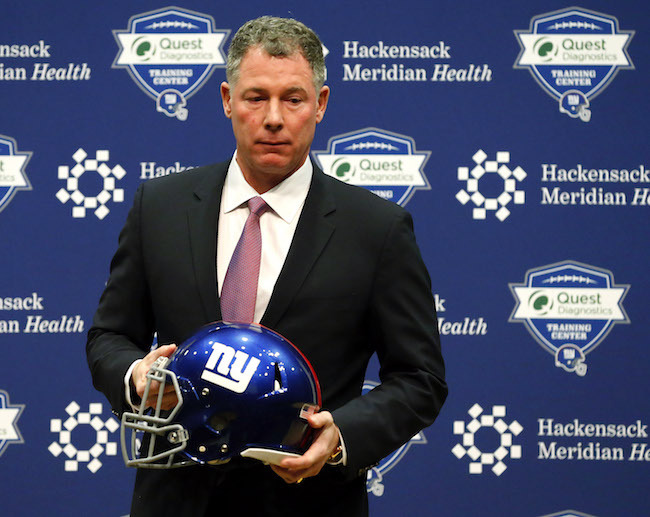 There is no media availability to the New York Giants on Saturday. The team plays the Dallas Cowboys at MetLife Stadium on Sunday afternoon. Tight end Evan Engram (hamstring) did not practice on Friday and has been ruled out of Sunday’s game against the Chicago Bears. Defensive end Kerry Wynn (concussion), linebacker Tae Davis (ankle), cornerback Grant Haley (hamstring), and safety Curtis Riley (shoulder) fully practiced and are expected to play. 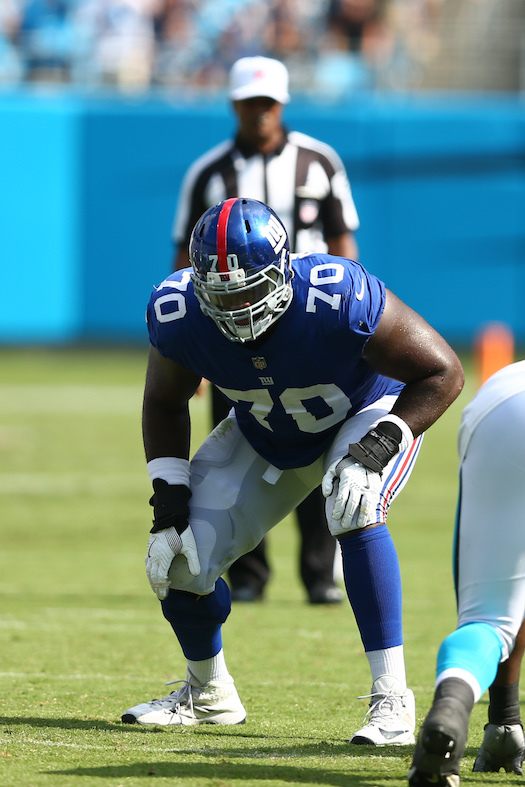 There is no media availability to the New York Giants on Saturday. 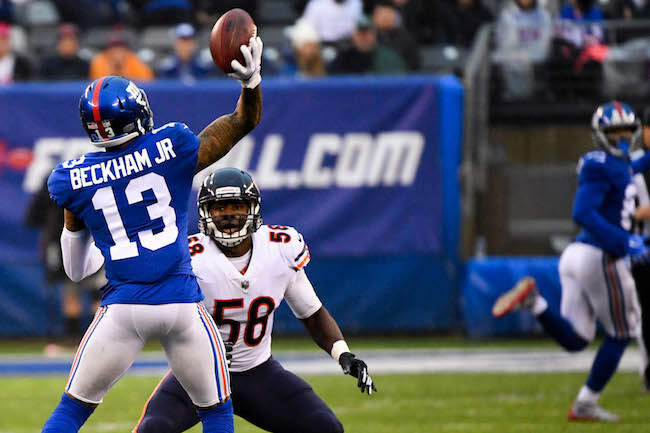 The team plays the Chicago Bears at MetLife Stadium on Sunday. 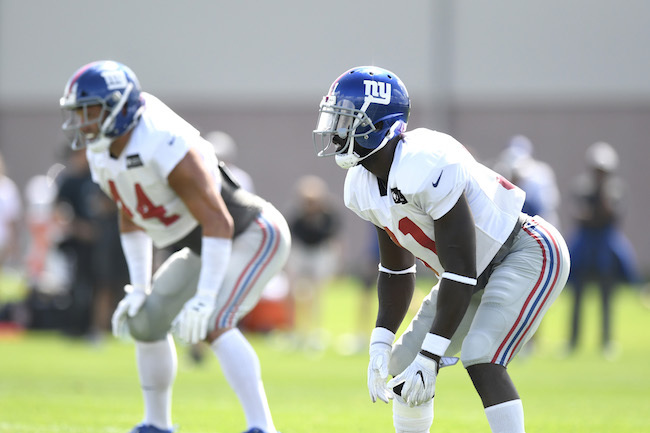 The New York Giants held their ninth full-team summer training camp practice on Saturday at Quest Diagnostics Training Center in East Rutherford, New Jersey. The complete training camp schedule is available at Giants.com. 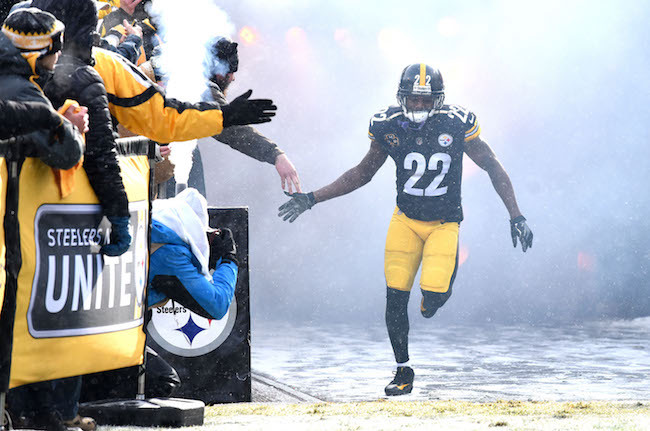 Not practicing on Saturday were safety Curtis Riley (hamstring), cornerback Donte Deayon (hamstring), cornerback William Gay (hamstring), linebacker Thurston Armbrister (hamstring), and defensive lineman R.J. McIntosh (unknown – Active/Non-Football Illness list). Cornerback Teddy Williams was still absent due to personal reasons. Cornerback Eli Apple left practice early with an injury to his left knee. After practice, Apple was limping but said he was OK.
Running back Saquon Barkley did not take any reps during the team portion of practice. Jonathan Stewart and Wayne Gallman split first-team snaps at running back. Stewart flashed some speed and scored on an outside run when safety Landon Collins lost contain. 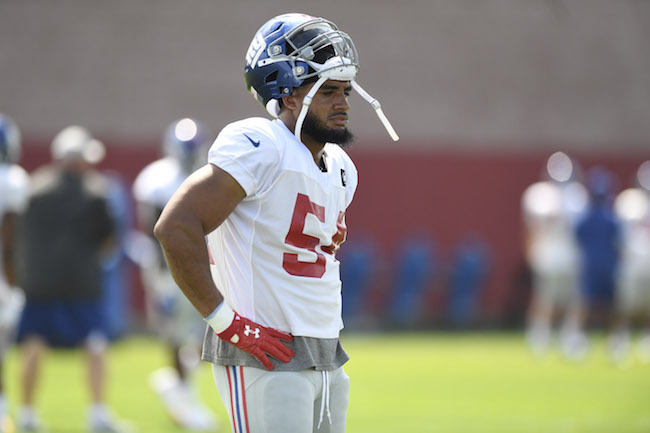 Darian Thompson was starting at safety along with Landon Collins. Tight end Evan Engram was very active catching the football. 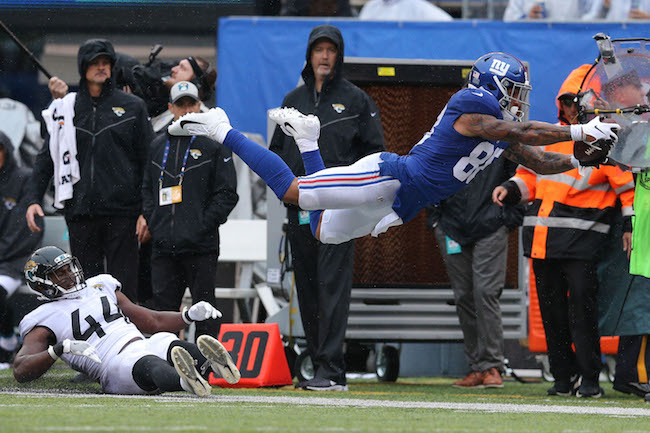 In 11-on-11 drills, quarterback Eli Manning lobbed a pass into the corner of the end zone where tight end Evan Engram made a leaping catch for the touchdown, beating safety Landon Collins. Quarterback Davis Webb threw a fade pass into the corner of the end zone to wide receiver Russell Shepard for a touchdown. Quarterback Eli Manning found wide receiver Sterling Shepard down the sideline for a long touchdown. Cornerback Janoris Jenkins intercepted a quarterback Eli Manning pass intended for wideout Kalif Raymond. Cornerback Chris Lewis-Harris ripped the ball away from wide receiver Marquis Bundy for an incomplete pass. Lewis-Harris tallied at least four pass deflections on Saturday. Brett Jones received first-team snaps at center for the second day in a row, along with Jon Halapio. Wide receiver Amba-Etta Tawo received some first-team snaps. Safety Michael Thomas picked off a pass from quarterback Davis Webb that deflected off of wideout Travis Rudolph. Quarterback Davis Webb rolled out to his right and completed a sideline pass to wideout Kalif Raymond. Safety Andrew Adams knocked away a quarterback Kyle Lauletta pass intended for wideout Russell Shepard. Defensive end Kerry Wynn quickly penetrated into the backfield for a “sack.” Wynn had an active day. Linebacker Avery Moss “sacked” the quarterback off an inside rush. Linebacker Lorenzo Carter also had a sack during the 2-minute drill and was constantly disruptive during practice. 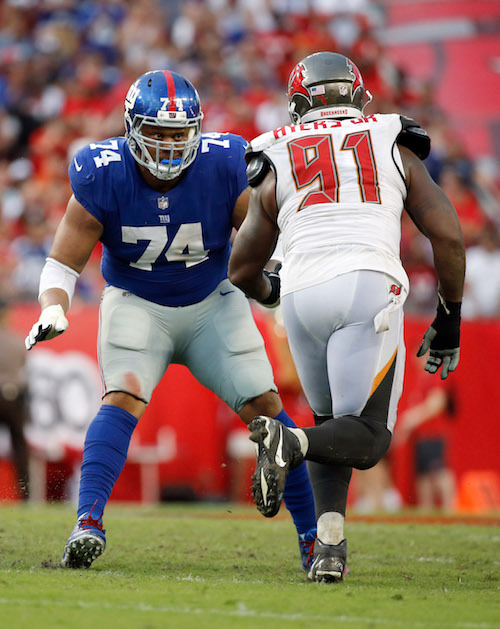 During the 2-minute drill, quarterback Eli Manning found tight end Rhett Ellison for a 28-yard gain and then hit tight end Jerell Adams for a touchdown over safety Landon Collins on a fade route. During the 2-minute drill, quarterback Kyle Lauletta threw a bomb to wide receiver Jawill Davis, but he could not get the offense into the end zone. 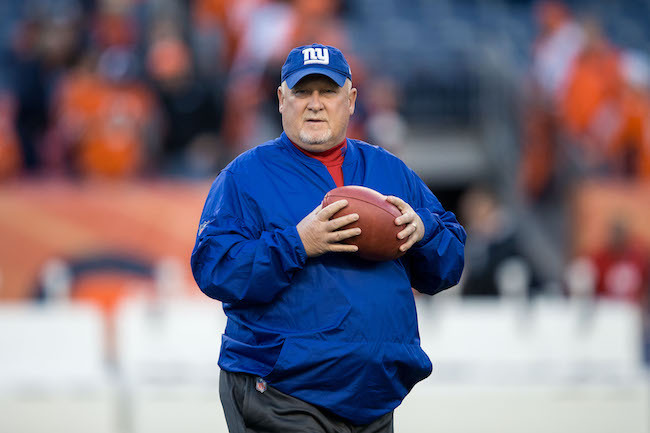 The Sporting News is reporting that the New York Giants will hire Hal Hunter as the team’s new offensive line coach. The 58-year old Hunter was out of football in 2017. He last served as offensive line coach of the Indianapolis Colts in 2015 and Cleveland Browns in 2016. News and Notes Tagged with: Archie Manning, Eli Manning, Hal Hunter, Odell Beckham Jr.